February 2019: We welcome a few newcomers to this list. The Jim and Neesie was an obvious choice for us and anyone who’s sampled their margarita with clarified lime juice and octopus a la plancha. 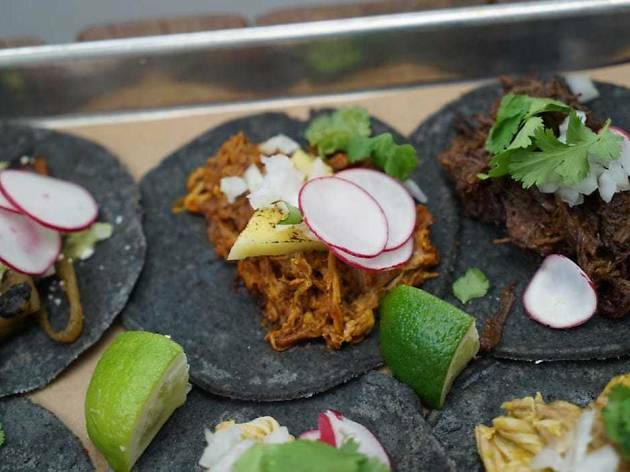 The delicious taco spot Taquiza comes in at number 10 with its new North Beach location. And it’s just impossible not to include Thomas Keller’s obviously great Surf Club Restaurant. 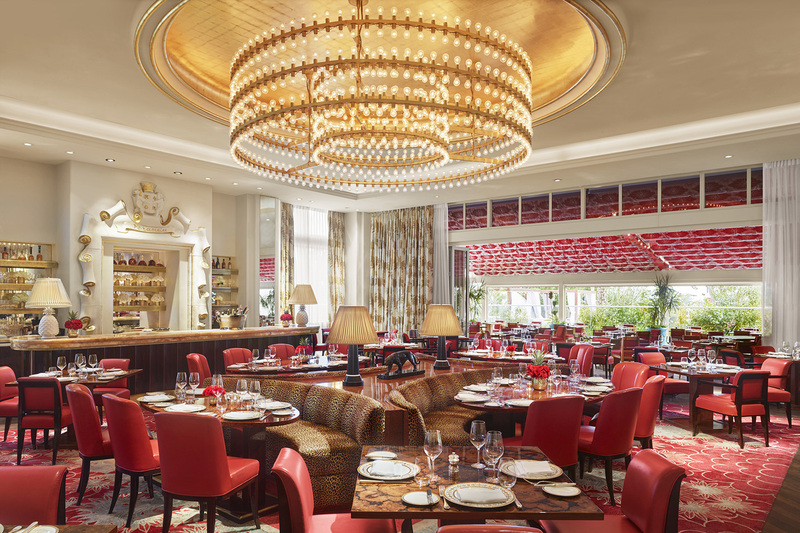 Sadly, we had to say goodbye to Pizza & Burger over at the Fontainebleau. It just wasn’t making a strong enough impression in the Mid-Beach dining scene anymore. 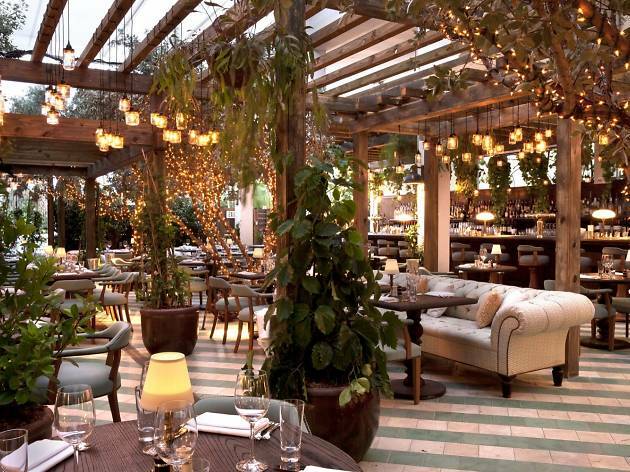 It’s harder than you think to find the best Miami Beach restaurants outside of South Beach. It’s an area of the Beach that often gets glossed over in conversations about food and drink. Many mainland-bound Miamians still protest the drive over the bridge too. But that’s an antiquated way of thinking and if you still haven’t dove mouth-first into Mid Beach and North Beach, it’s your loss. This chunk of land is home to some of the best bars in Miami and some of the best restaurants in Miami too. And the good news is we’ve already done the hard part of finding the best spots. Now all you have to do is go forth and eat. Everything about this Middle-Eastern-inspired restaurant feels homey, down to the family-style recipes—but you won’t find your parents here. This 1930s cottage on the Freehand Miami property is where the cool kids go for meals (they probably stumbled over from the Shaker). At brunch, it’s all about the shakshuka and the kimchi fried rice at dinner, plus a smattering of other tasty options. What to order: Gabe’s arepa platter comes with everything you need to build your own mini sandwich, including ropa vieja, cheese and other toppings. 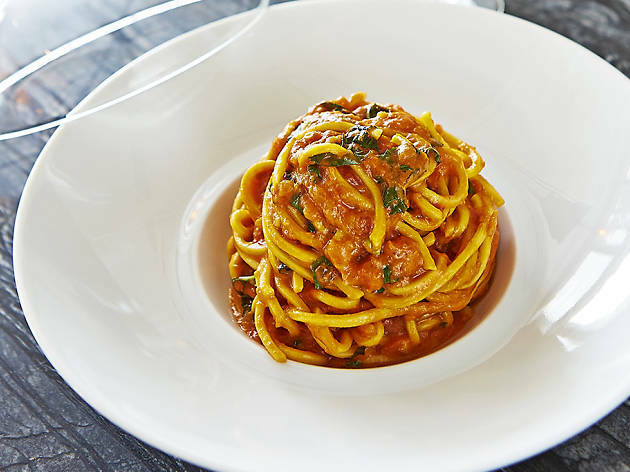 No one beats grandma’s cooking but for homemade Italian in a slightly nicer setting (no offense, nonna), we head to Scarpetta. 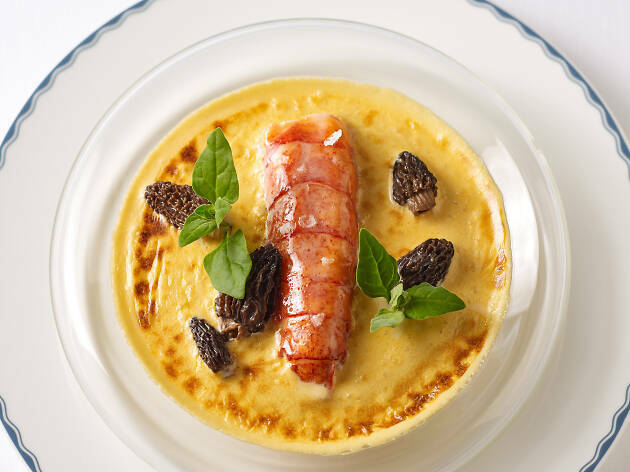 Celebrity chef Scott Conant has refined his own family recipes to bring the masses elevated on regional dishes, including creamy polenta with a fricassee of truffled mushrooms and Mediterranean octopus. 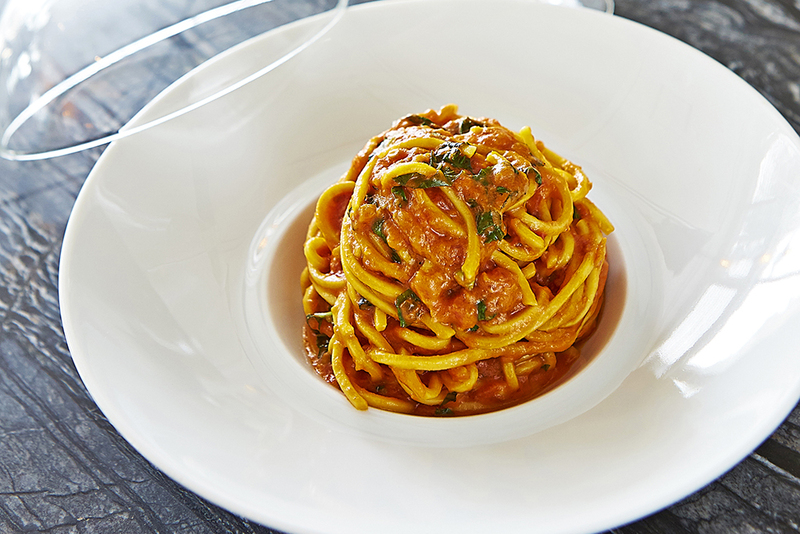 What to order: You can’t say you’ve experienced Scarpetta until you have Conant’s classic spaghetti with tomato basil—it’s fresh pasta in a simple sauce but it tastes like magic. 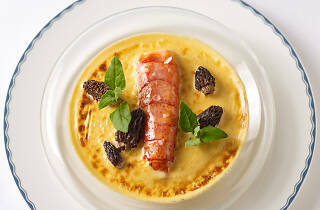 There’s a reason everyone agrees Thomas Keller is one of the greatest American chefs alive right now. 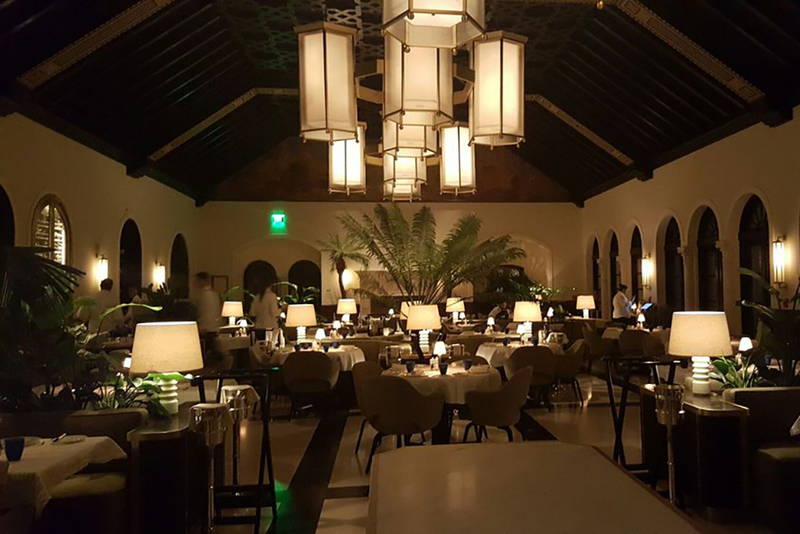 Sit down in the stunning Surf Club Restaurant and you’ll understand why before dessert arrives. 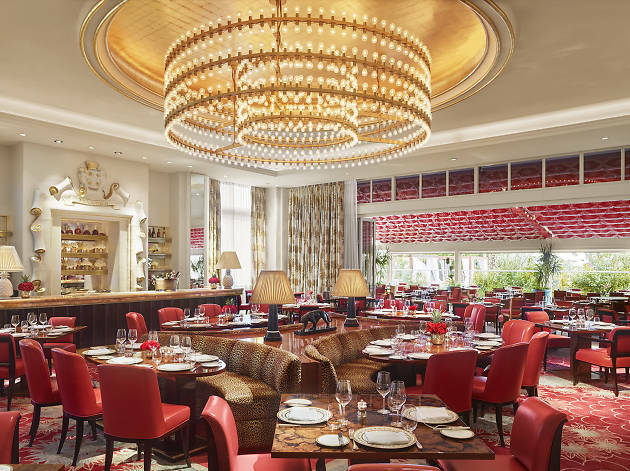 Keller’s first Miami outpost does classic dishes and channels old American glam of the ‘50s and ’60s. We’re happy to report that it’s not as boring as it sounds. 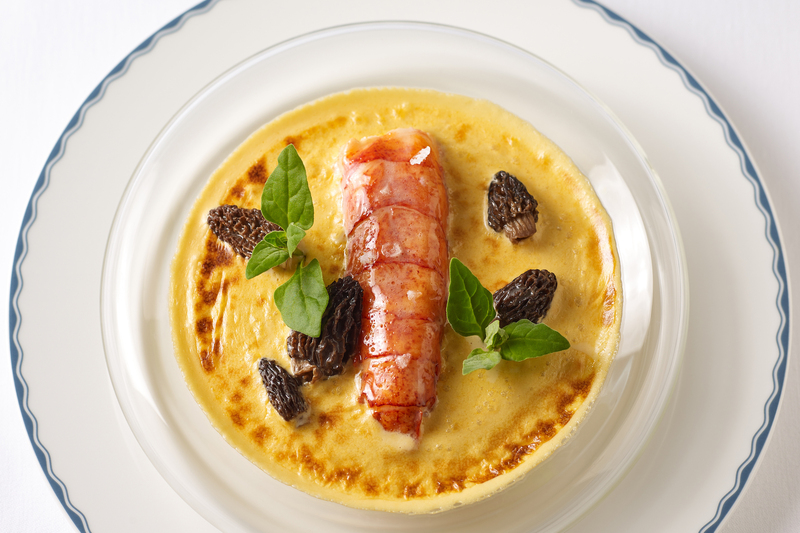 What to order: The Maine lobster thermidor. Just look at it! If you can’t handle the $85 price tag, though, the roasted chicken is amazing and feeds two. 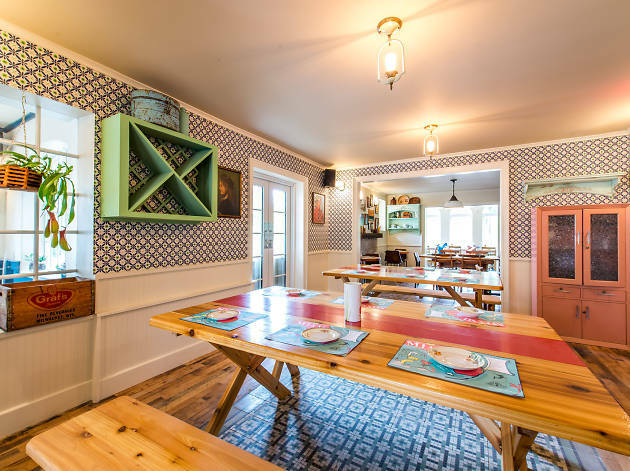 The Generator is the hip, new hostel in town—and its small lobby restaurant, Jim and Neesie, is the sort of restaurant this place deserves. It’s casual—in a good way. Bartenders are servers here (call them servetenders) and will both take your order and mix your drink. Somewhere in between cocktail bar and restaurant, the Jim and Neesie does both marvelously. 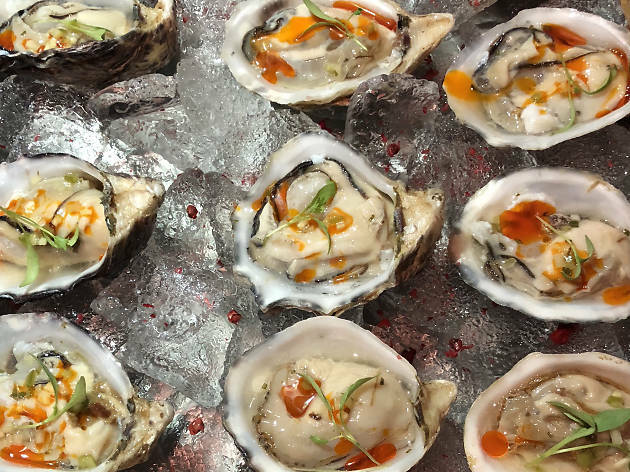 What to order: Please convince the table to split the west coast oysters that come with a dreamy cucumber mint mignonette. Or don’t. More for you. 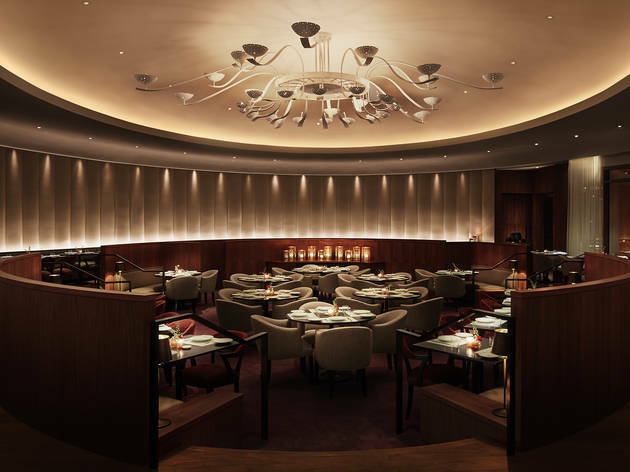 With a name such as Michelin-starred chef Jean-Georges Vongerichten attached, Matador Room sets the expectation way high for diners—and it delivers both in experience and cuisine. 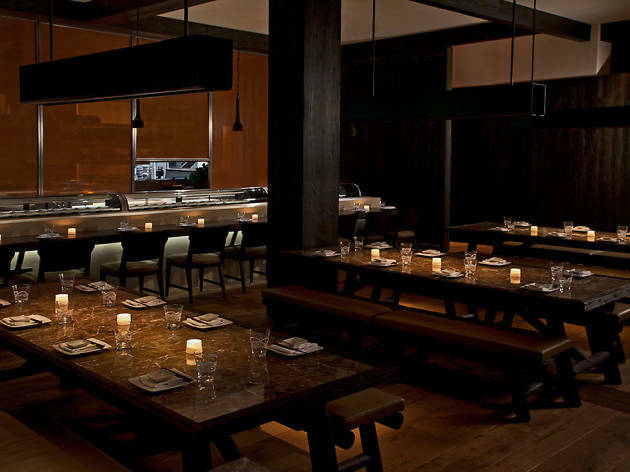 Its midcentury design is reminiscent of 1950s glamour, though the vibe is far more upscale than stuffy. 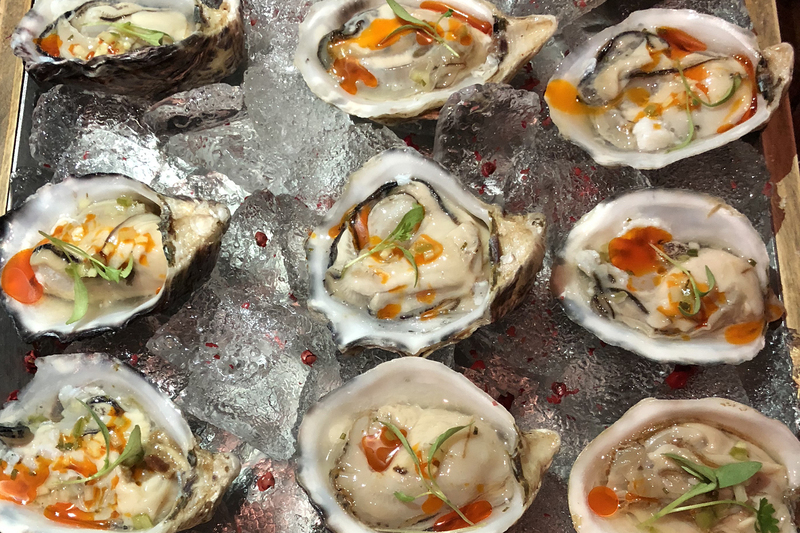 Caribbean, Spanish and Latin flavors all find their way to the seasonal menu, featuring artisanal pizzas, delicate seafood options and plenty of small plates to pass around before making your way to Basement downstairs. What to order: The arroz con pollo. 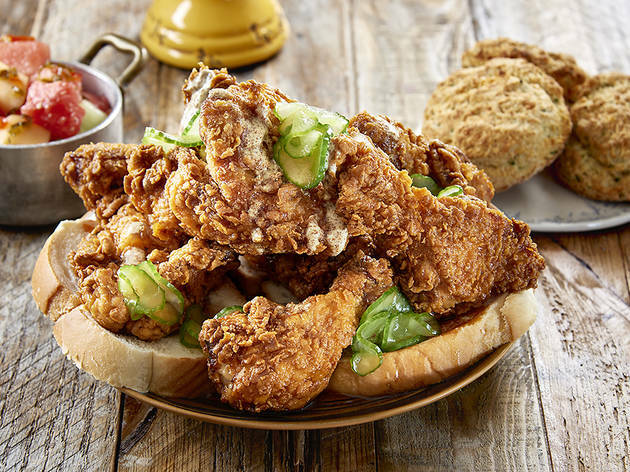 It’s topped with crackling chicken skin and the house hot sauce was made specifically with this dish in mind. 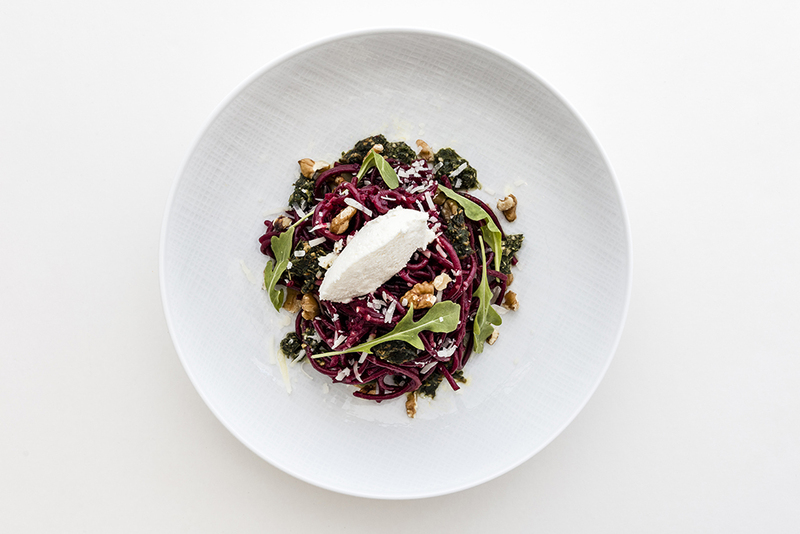 In a city where everyone is constantly trying to eat healthy but so frequently fails thanks to a rosé-all-day culture, it’s nice to have places like the Strand to help you rein it in. 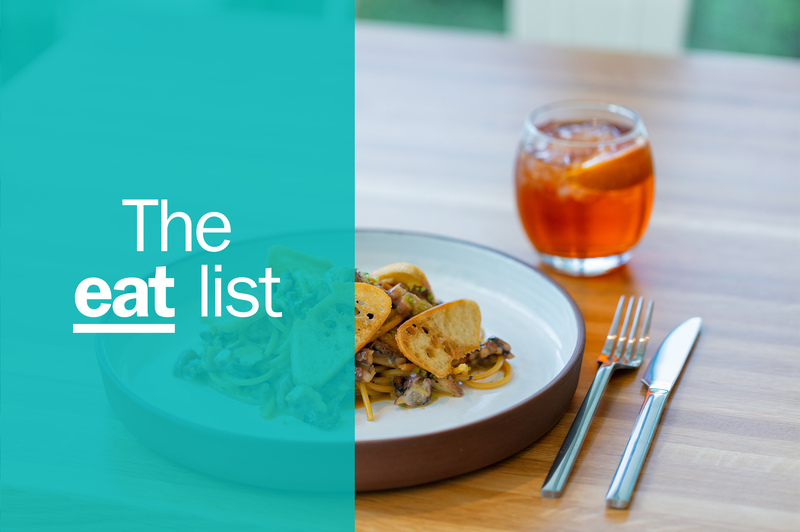 There’s still wine on the menu but cocktails feature fresh-pressed juices—plus you have an array of fresh seafood options and delicious vegetarian items, like the mushroom lasagna, to keep things light. What to order: The roasted foie gras (with apple soubise and hard cider gastrique) is a luxurious choice if you’re really looking to have a decadent meal. 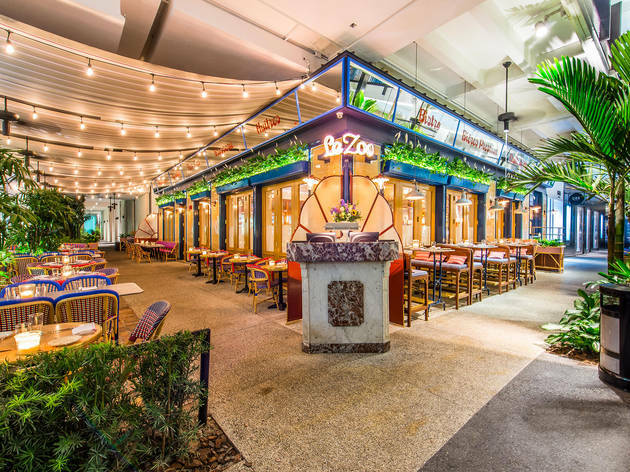 This adorable French bistro is inside a mall, but you’d never tell based on its lovely string lights and overall chic decor. Le Zoo, being a Stephen Starr restaurant, has a certain reputation to uphold and it does so beautifully with a menu that’s equal parts classic and modern, featuring items like steak frites and duck confit pizza. What to order: The onion soup gratinée, traditional French onion soup, is a must here. Yes, we’re suggesting another mall restaurant and the second Stephen Starr property at that, but there’s good reason for it: spicy tuna crispy rice. 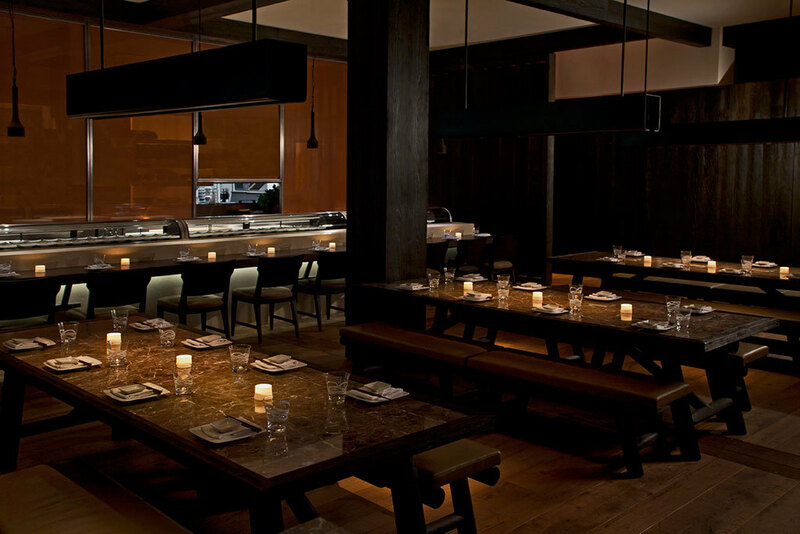 Though Makoto is more than its famous appetizer, luring diners from all over with its upscale Japanese fare and sushi plus a superb selection of robata-grilled proteins and vegetables. What to order: The Japanese risotto, made with brown rice, seasonal veggies and truffles, is an unusual choice but one you won’t regret. Oh, and of course, you can’t go home without trying the crispy rice. 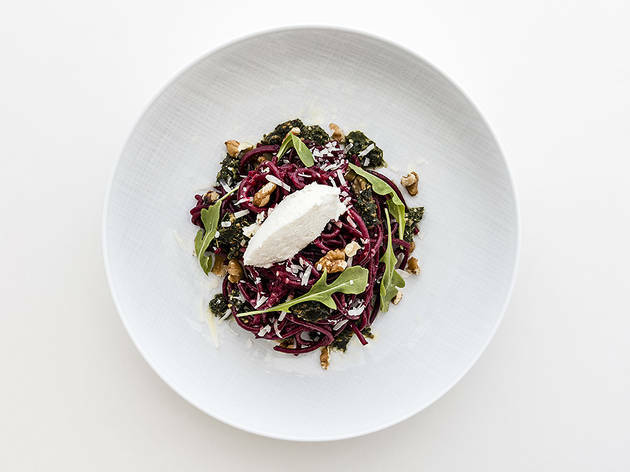 Miami Beach hasn’t seen a high-end restaurant quite like Le Sirenuse in a while, and the city is soaking up every bit of this bougie spot. The champagne bar near the entrance doles out classic Bellinis (they even have an adorable cart built specially for the drink and handcrafted cocktails. Make your way to the back (or out to the terrace if it’s a nice day) for upscale Italian food, from pastas and risottos to cheesy antipasti. What to order: The halibut ain’t cheap but it is one of the tastiest pieces of buttery filet you’ll try this year. 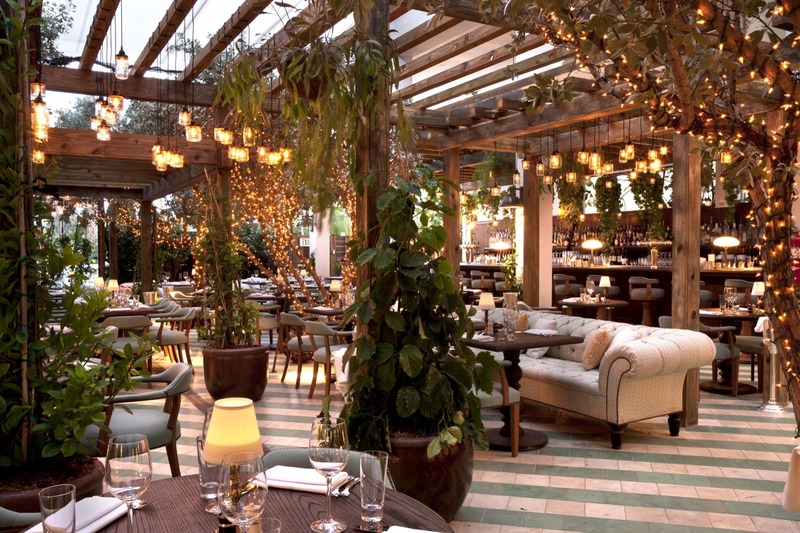 Cecconi’s popularity hasn’t waned since it opened as the only public offering inside the exclusive Soho Beach House. 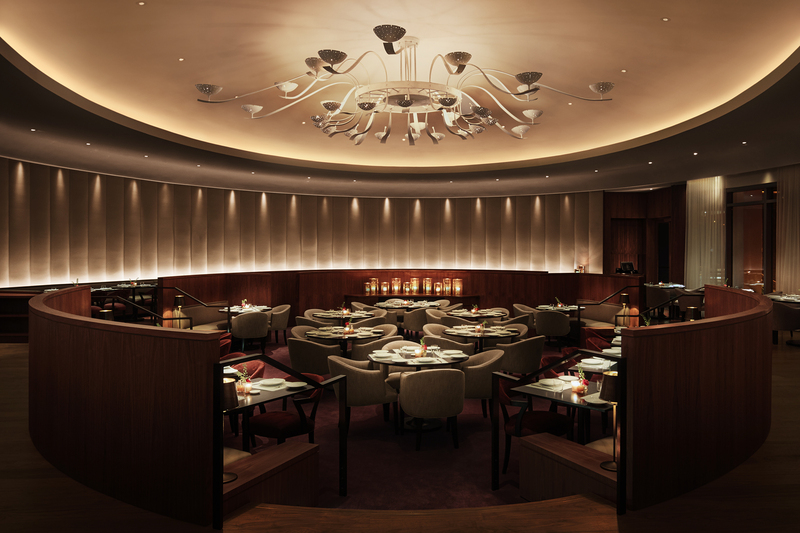 It’s here where you can rub elbows with members and experience the same five-star treatment. But who are we kidding? We’re here for the pasta—stuffed, baked or doused with house-made sauce. The romantic lighting courtesy of a small forest draped in dazzling garlands ain’t bad either. What to order: The truffle goat cheese pizza is the reason you won’t fit into your swimsuit this summer but also the reason you won’t care. It’s so good. Why do you always find yourself craving tacos after a beach day? We’ll leave that up to science. 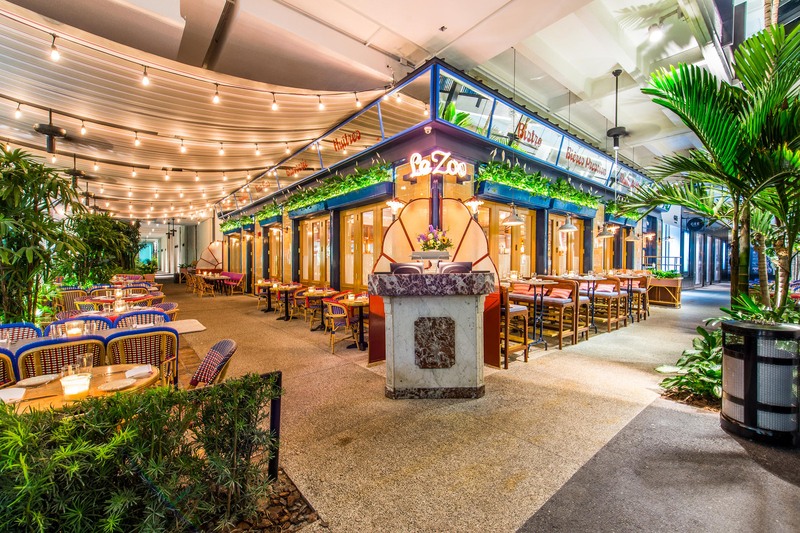 But what we do know is that there’s no better spot for your post-beach taco than Taquiza, which recently opened this North Beach location, which boasts a bigger bar and more room to sit and eat than its South Beach sister. 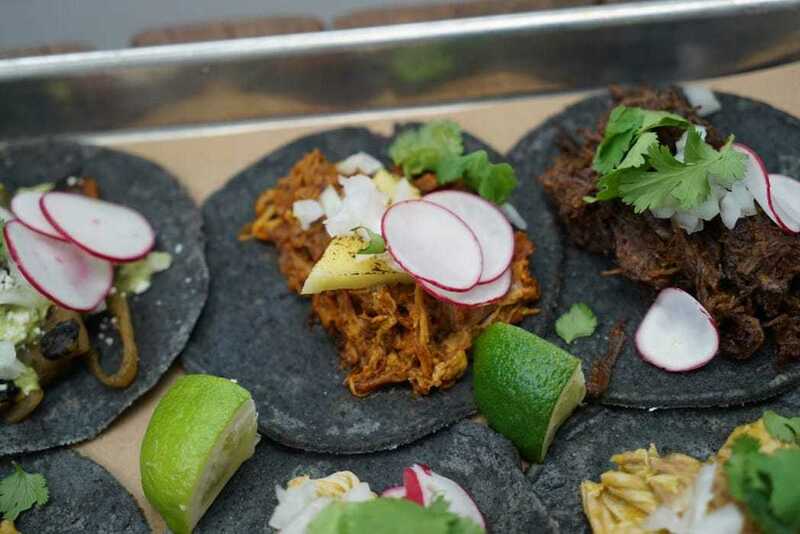 What to order: By now, you probably have your own taco preferences, so do you on that. But the totopos and guac are an absolute must to start with. 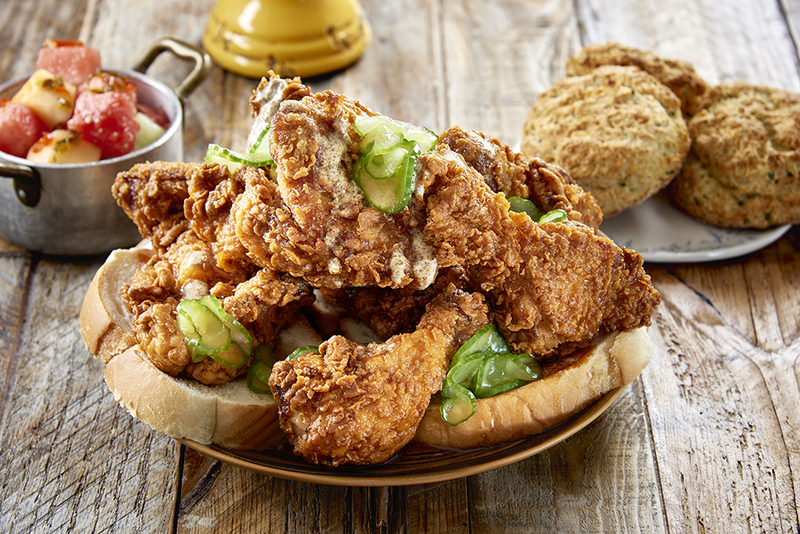 It feels almost counterintuitive to dive into a plate of fried chicken when you’re sitting poolside, but you won’t think twice the moment chef Richard Hales’ hot bird lands on your table. 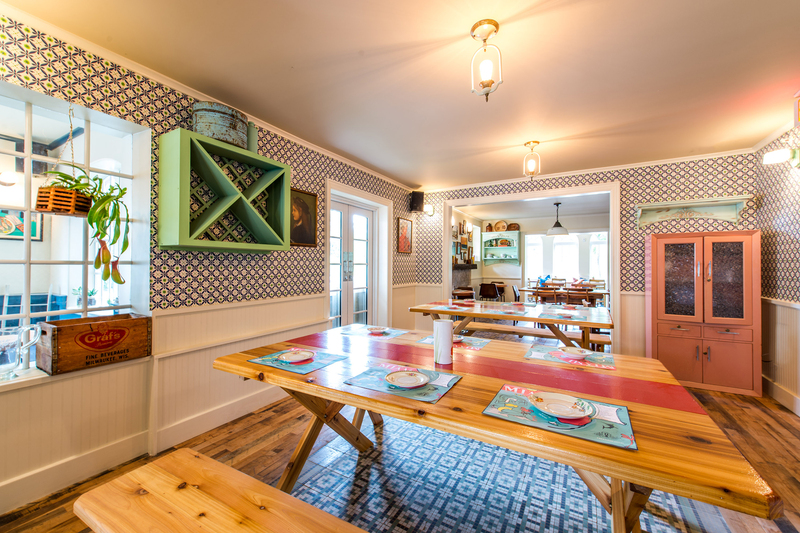 It pairs exceptionally well with cheddar and chive biscuits and white corn grits, both of which are dinnertime and brunch staples at the Confidante’s backyard restaurant. What to order: We gave it away above but there are actually two styles of chicken on the menu: the hot chicken and the roast chicken. Both are fantastic. This spot comes to us from Argentina’s grillmaster Francis Mallmann, who you might recognize from a library’s worth of chef shows and docs. Trust him (and the team he’s entrusted) to serve the best cuts of beef, chorizos and more meaty gaucho fare on this side of the Americas. What to order: Red meat—and not just because the entire place is crimson—especially on Sundays for the restaurant’s weekly parrillada-style brunch. 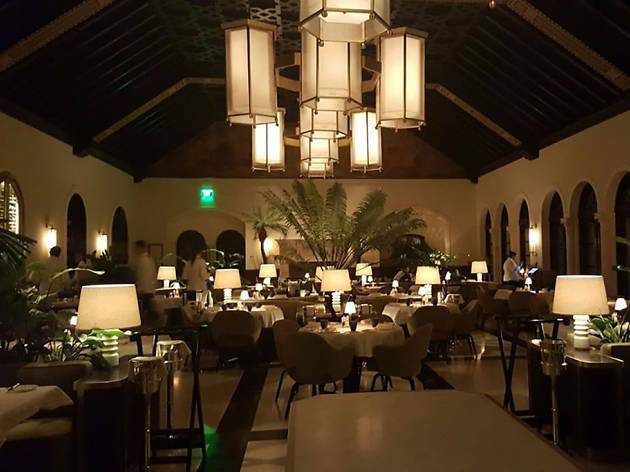 Looking for more of Miami’s great restaurants?